I've been thinking a lot about pesticides in foods and pesticides in honey since the recent post about untreated lawns and bees. Research finds that untreated lawns (no pesticides of any kind) with their diversity of flowering weeds or "spontaneous flowering plants" (such as clover and dandelions) are actually great pollen and nectar sources for bees. In other words, untreated lawns are great bee habitats! We think of conventional farms as using a lot of pesticides, but that is also true of suburbia with its obsession with "perfect lawns" and gardens, with no weeds allowed. According to U.S. Fish and Wildlife Service: Up to ten times more pesticides per acre are used on suburban lawns than on conventional farms! Perhaps it's time to view clover and other "spontaneous flowering plants" as beneficial wildflowers providing food for bees, and not undesirable weeds that need eradicating with pesticides. 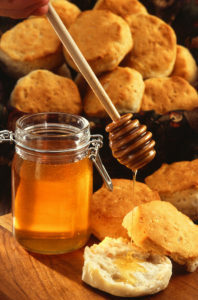 Thus these recent articles about pesticide residues in foods, including honey, caught my eye. Notice that conventional foods have pesticide residues, but not organic foods (or they may have much lower pesticide residues, typically due to contamination from neighboring farms). Honey is tricky - there may be pesticide residues because bees fly to pesticide contaminated areas, and also beekeepers may use pesticides for pest control when caring for their bees and bee hives. 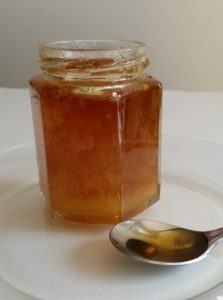 The most uncontaminated honey would be from organic beekeepers located in pristine areas, with no industry, farming, or treated lawns nearby, and who do not buy "wax starter comb". Bees forage for nectar and pollen within 2 miles from the bee hive, but may fly up to 7 miles from the bee hive. As an article in Scientific Reports pointed out: "Any agrochemical applied anywhere within a colony's extensive reach can end up back in the hive." Note that no one knows what the long-term health effects are of ingesting foods daily with low levels of mixtures of pesticides (chronic exposure), and also of ingesting endocrine disruptors. A "cocktail effect" may occur from combined traces of different pesticides - the chemicals may be more toxic when combined than alone. We just don't know. 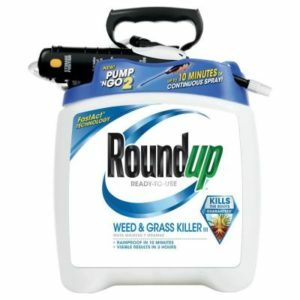 The FDA just started testing for glyphosate residues (glyphosate is the active ingredient in Roundup) in 2016 - and this is the most heavily used pesticide in the world! Currently nearly 300 million pounds of glyphosate are applied each year on U.S. farms. Now add in all the other ways we're exposed to pesticides - both indoors and outdoors lawns, gardens, farms), even on our treated pets. Something to think about. A number of Kellogg and Nestle brand muesli cereals were among those tested in the following research. Muesli is a breakfast cereal of rolled oats, perhaps other grains, dried fruit, and nuts. ...continue reading "Pesticide Residues In Honey and Other Foods"